You will receive an invitation e-mail to take the Pipplet test, and will only need to click on the "Let&apos;s do it now" button. Once on the test Welcome page, you will have to read and agree to the terms and conditions. Then, to avoid any possible technical issues we check the proper functioning of your microphone and speakers via a quick audio test. 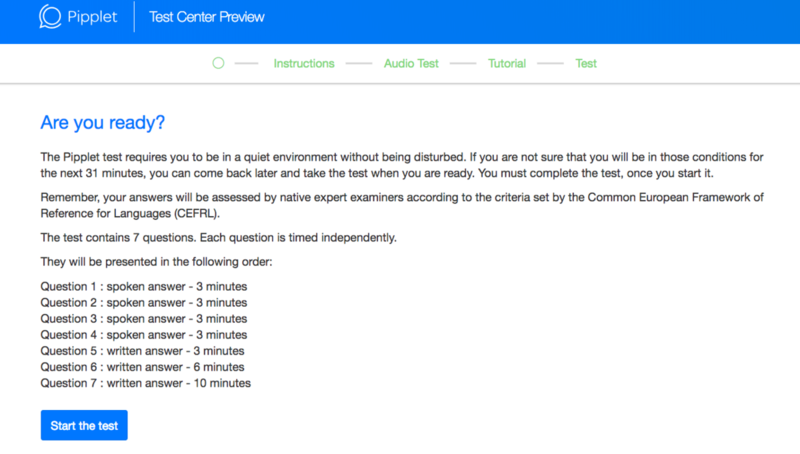 Finally the questions&apos; summary is displayed, it&apos;s time to take the test! Click on let&apos;s go !